XCOM: Enemy Unknown is the turn-based squad-tactical role-playing video game reboot developed by Firaxis Games, and published by 2K Games. While it has been called the "reimagined" remake of the 1994 cult classic UFO: Enemy Unknown (also known as X-COM: UFO Defense) as well as a reboot of MicroProse's X-COM series from the 1990s, it is much more than that. While it faithfully interprets the original game, it does so while at the same time carving out its own very unique niche and voice, making it more like a new game in the series than a reboot game..
Xcom: EU turned out to the reboot that was worth waiting for! 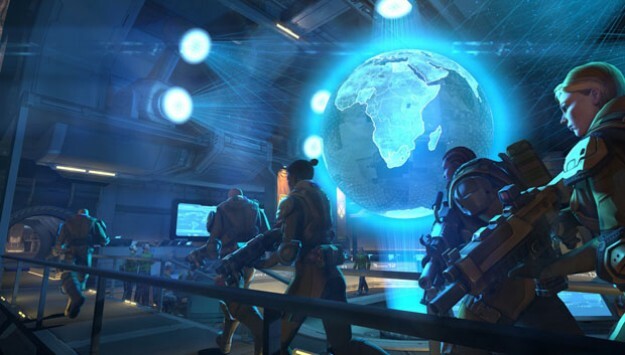 Xcom: EU takes the best elements of the squad-based real-time tactical strategy game and the very core of the Xcom universe and turns out a challenging but far more important addictive game that you can't stop playing - so bringing that to iPad and Android? Oh man that is a double whammy!